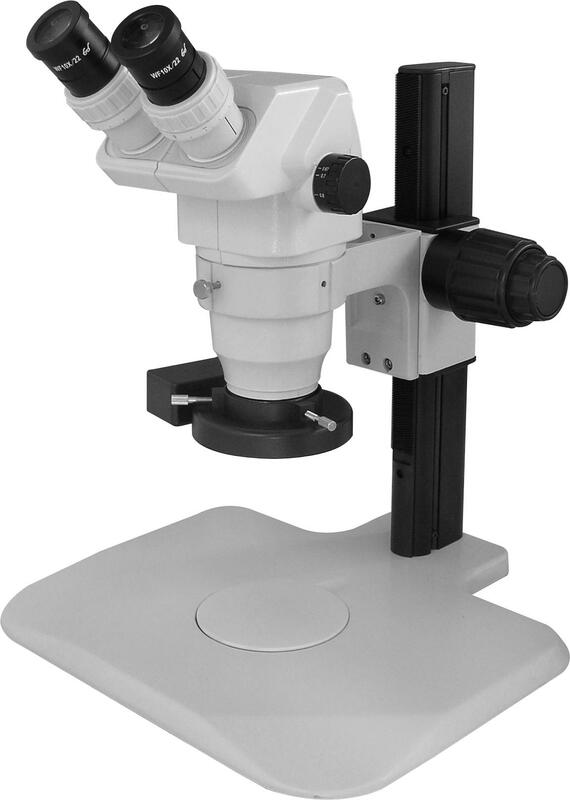 High performance and reliable stereo zoom binocular microscopes for day to day inspection in electronic and medical device industries. 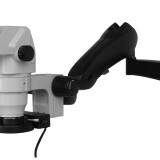 Ergonomic design with vivid & bright images will make QC inspection more ergonomic and easier on your eyes. 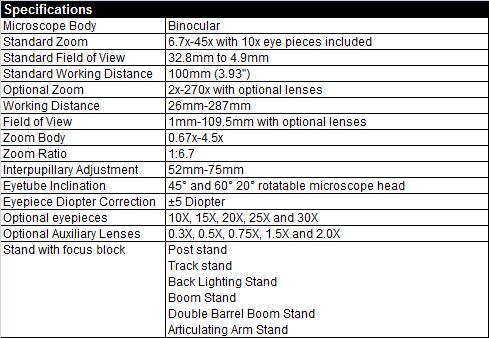 6x to 45x with 10x eye pieces should cover more than 90% of your inspection magnification requirements. 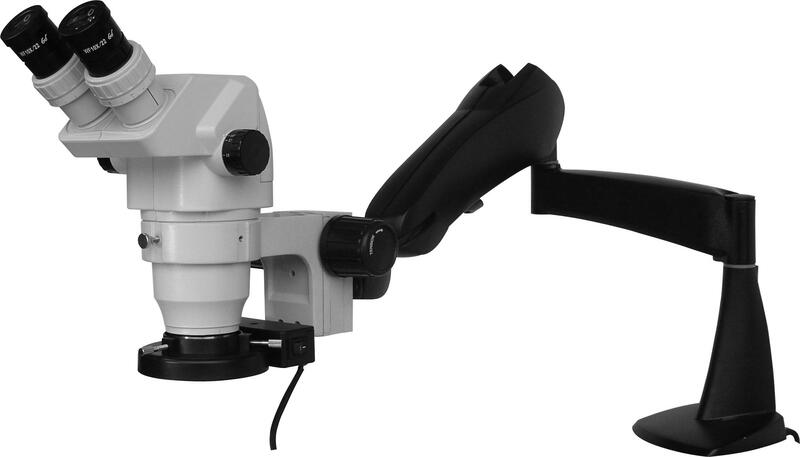 LED ring light means you probably will not need to replace light bulb for more than 10 years. 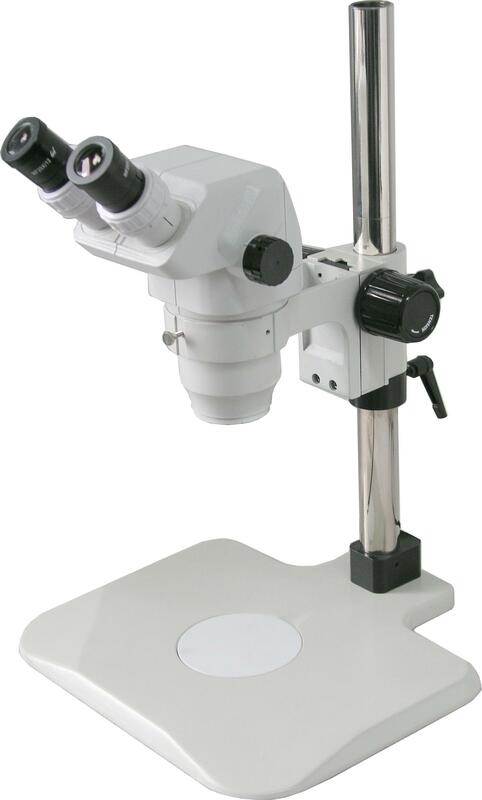 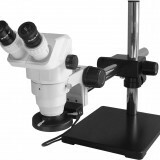 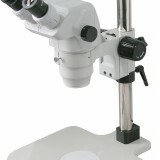 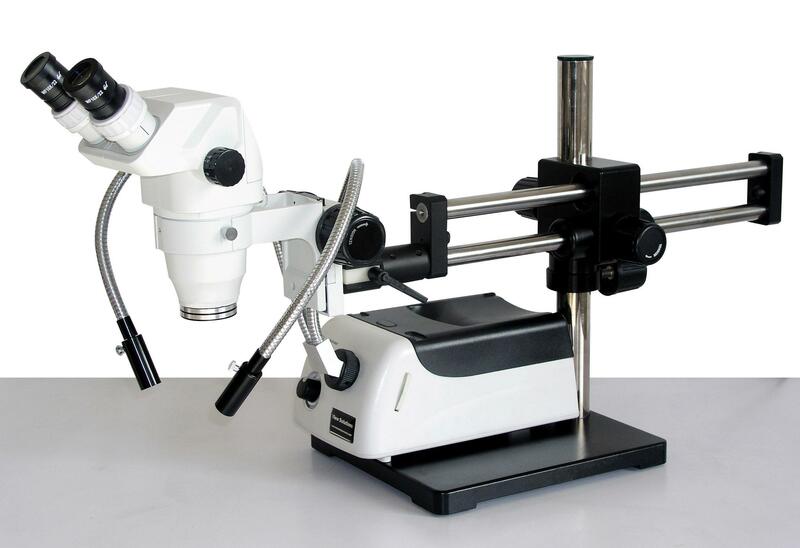 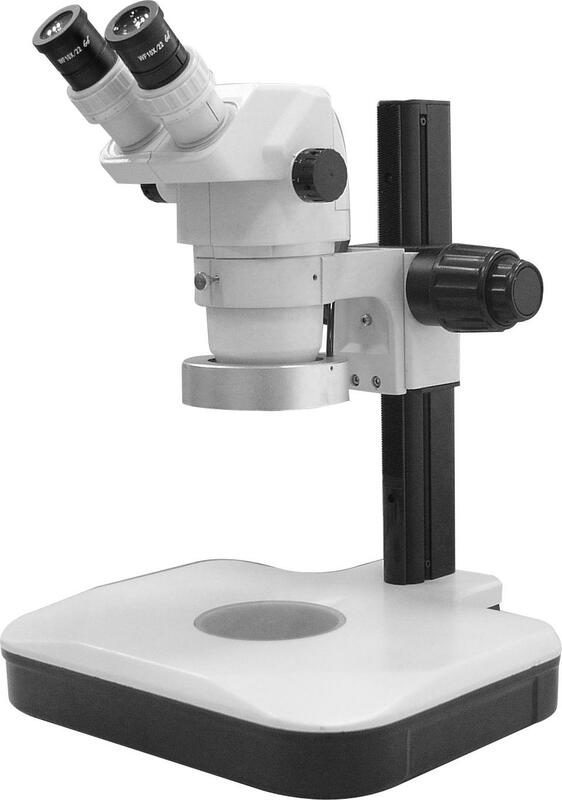 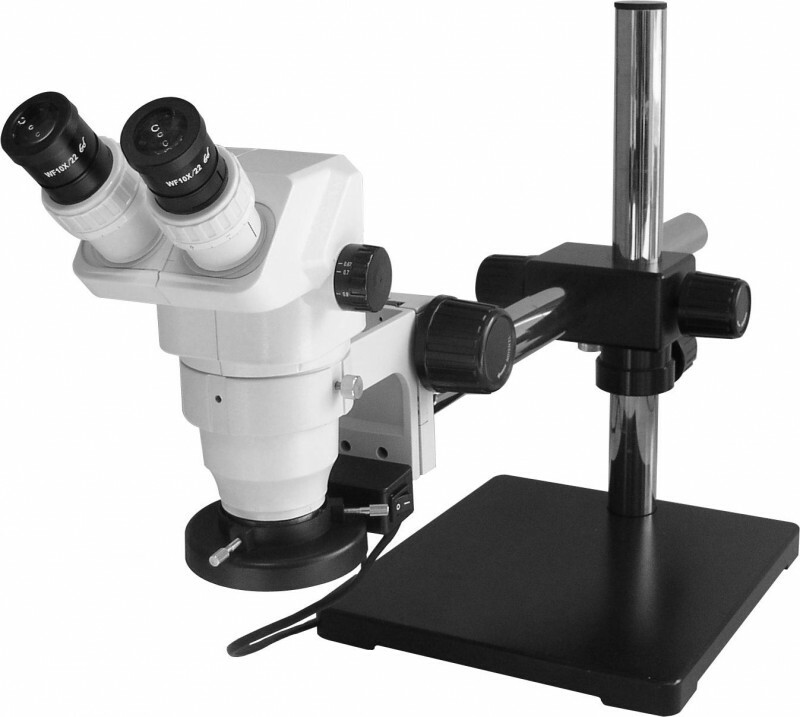 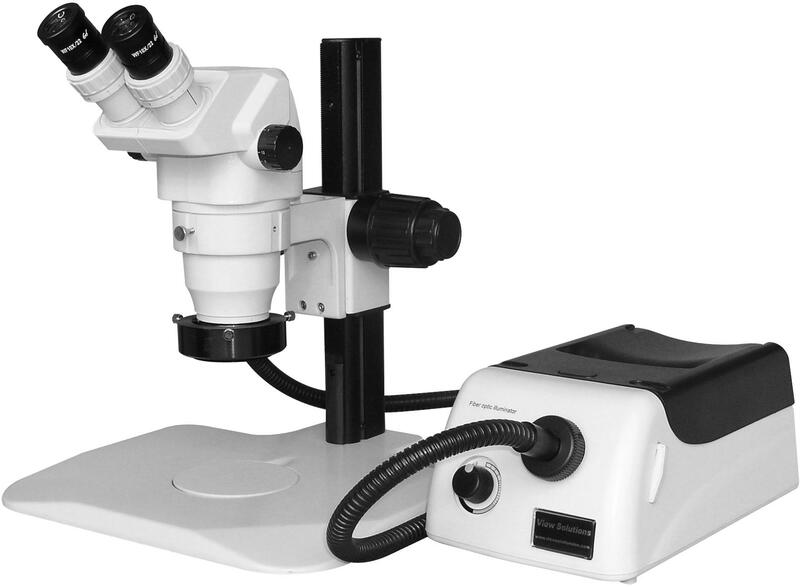 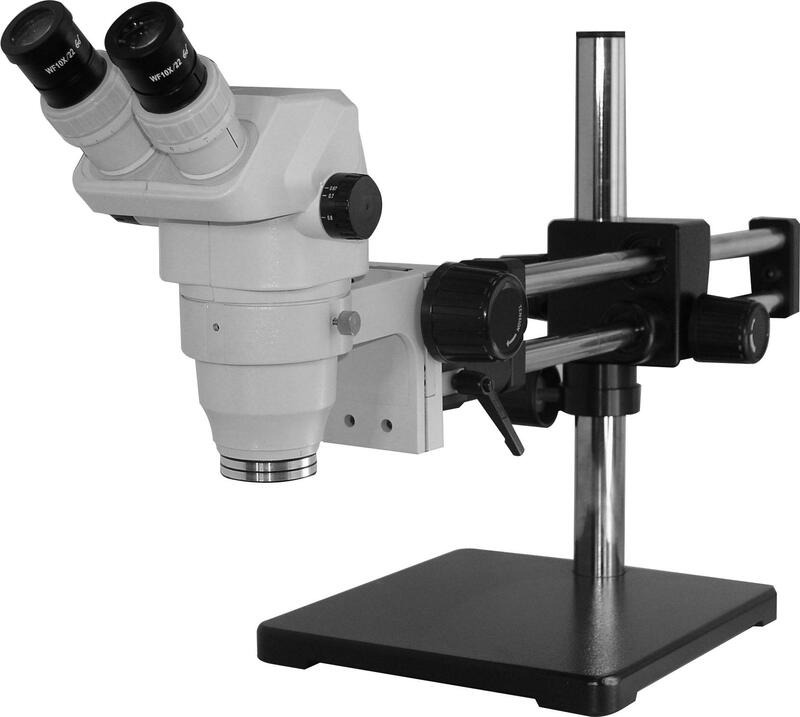 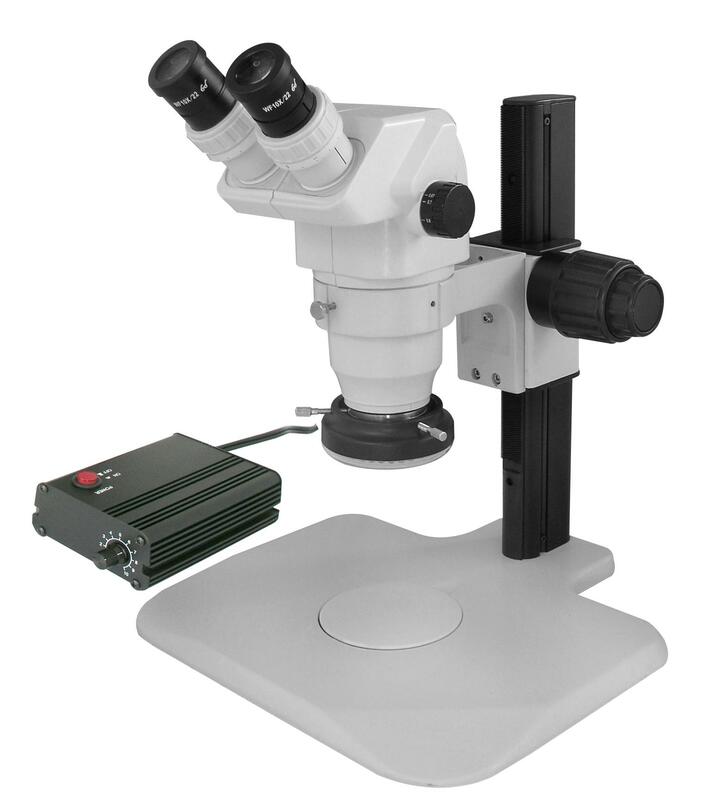 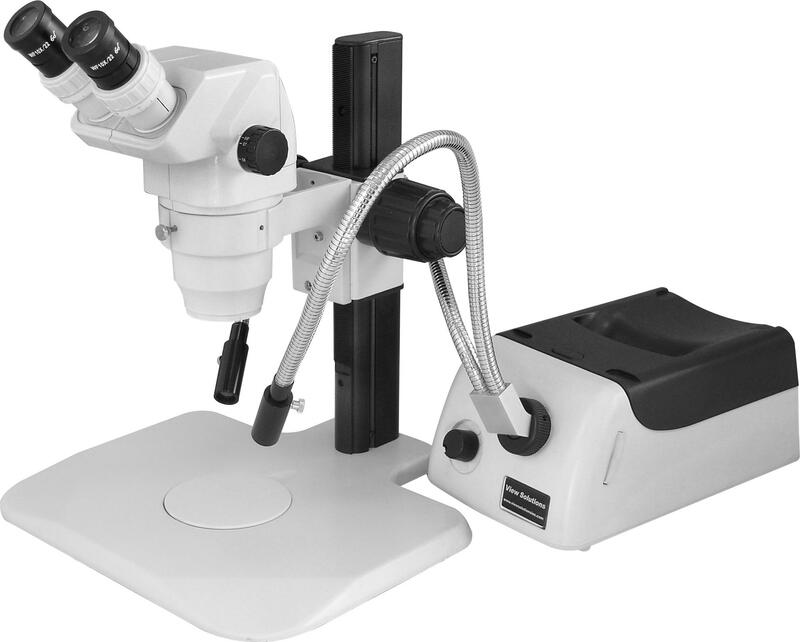 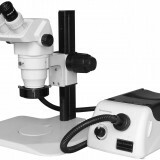 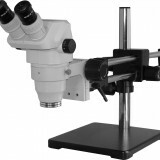 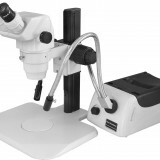 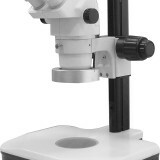 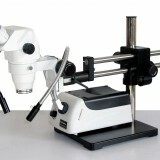 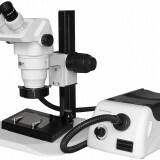 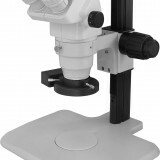 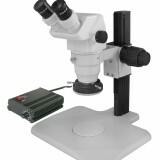 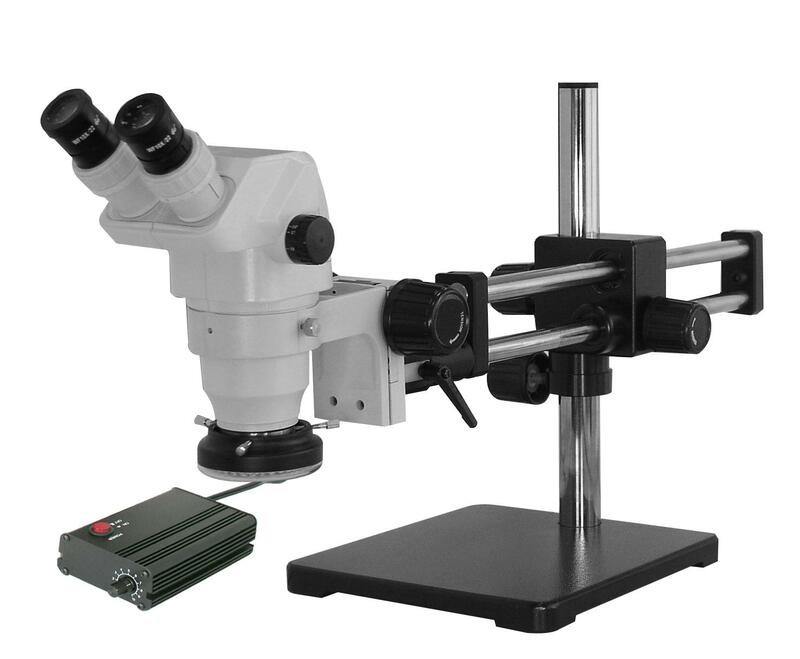 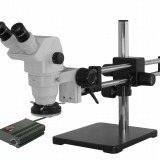 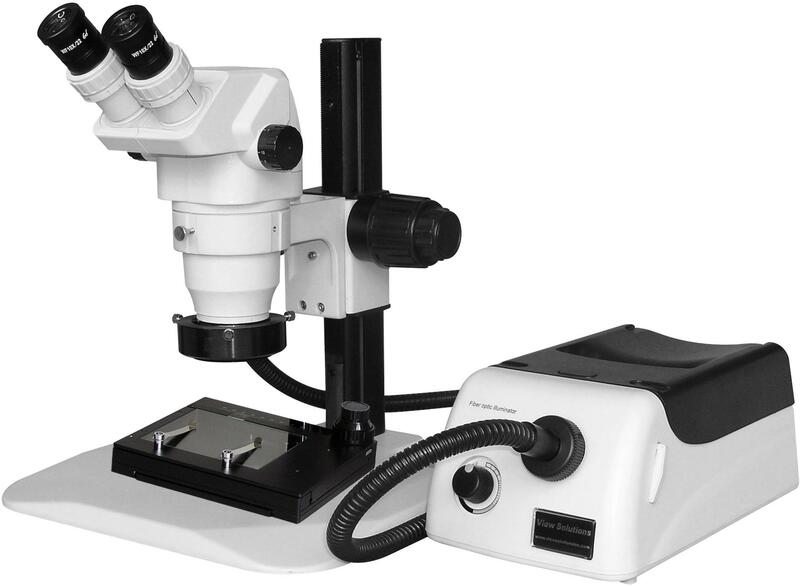 SZ-45 stereo zoom binocular microscope can be mounted on multi angle tilting boom stand, easy gliding double barrel boom stand, compact post stand with base, continuous track stand with base, track stand with LED back light. 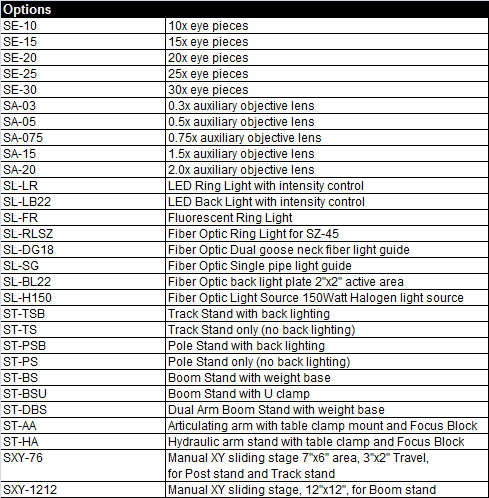 LED ring light is most common and most popular, but fiber optic goose neck lighting offer more flexibility.